Iran, the former great Persian Empire, is probably among the most misunderstood countries of our time. Which is in itself, a very good reason to come and experience a unique and unforgettable journey on its lands! 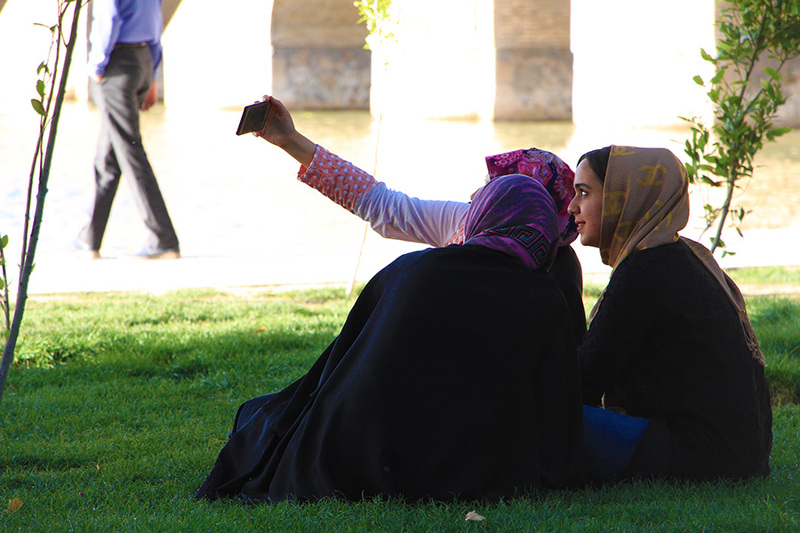 Most visitors who experienced Iran agree that they lived an experience beyond expectations! Because Iran is simply nothing like you can expect, and moreover, nothing like western media and politics depicts it. So, here is a bite of what Iran truly is! Iran is a land of great history, the cradle of one of the world's oldest civilization and homeland to the powerful dynasties of the glorious Persian Empire. Thus, visiting Iran is entering millions of years of history. 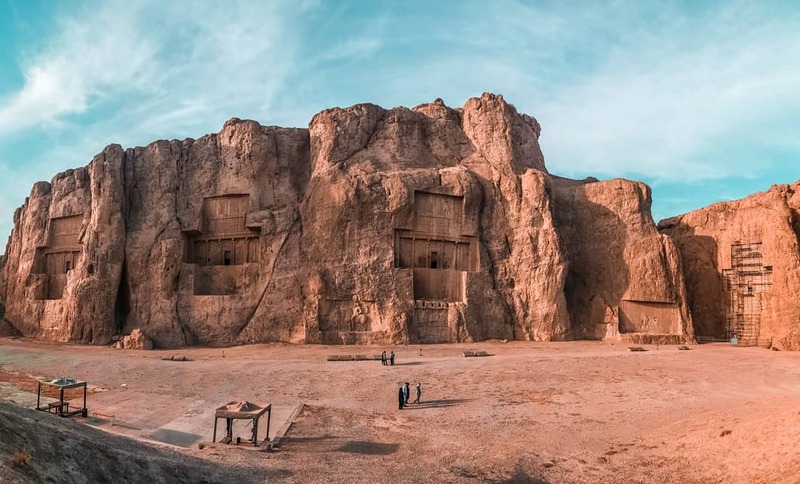 This legacy remains alive on the World Heritage Sites of Persepolis, Golestan palace, Bam citadel, and many other historical places all over the country. Indeed, Iran has not less than 23 sites listed by the UNESCO! History is the cement of the Persian culture. Yet it's not only limited to the Sassanid or Achaemenid Empires. Nowadays' culture is deeply rooted in the traditions of Zoroastrianism, one of the world's oldest religions, later influenced by Islam and its mystic branch, Sufism, which has inspired so many famous Persian poets, from Rumi to Hafez. It's this unique blend of origins which gives its taste to the Persian culture. A complex identity that can be well observed during the annual and local celebrations, from Nowruz, the Persian New Year, to Ashura, the commemoration of the death of Imam Hussein. It's also this remarkable combination that has given Iranian people their main characteristics, among which, this unrivaled sense of hospitality. No visitor has ever come to Iran without falling in love with his warm-hearted people, amazed by the way Iranians greets their visitors. Iran is a land where you can discover the true meaning of the word "hospitality". That’s probably one of the reasons why it so safe for the visitors, as they are taken care of as the most cherished member of the family. Iranian are always so keen to help, start chatting, share a tea or even invite you over for a homemade family dinner. There is no doubt that your many encounters will create the most striking and sweet memories of your trip, as they will show you the true face of Iran. Thinking about Iran immediately brings to the mind the image of the masterpieces of Isfahan's blue-domed mosques, embellished with the most beautiful tile work knowledge, and whose golden minarets stands proudly at the horizon. Iran indeed presents some of the best examples of Islamic architecture in the world, but not only. Christian, Jewish, Zoroastrian, and Babylonian influences have left striking monuments as their heritage. The great empires of Persia have also granted their land with architectural treasures, from the grandeur of Persepolis to the refinement of Qajar houses. Of course, the magic also lies in Iran's astonishing nature and landscapes. The fantastic sight of sand dunes spreading at the horizon is one of the most famous images associated with the country. It's true that it has many beautiful and vast deserts, from the flawless and unspoiled Maranjab to the otherworldly sand formations of the Dasht-e-Lut, the hottest spot on earth. However, Iran is so much more than deserts! The Alborz mountain range and the Zagros Mountains are paradises for climber, skiers, and snow lovers who dare defying the cold. In the westerns regions, green landscapes filled with breathtaking canyons, crystal-clear rivers, and waterfalls are waiting for the visitors to enjoy a dive in their temperate waters. That's not it: from the humid Hyrcanian forest near the Caspian Sea to the mangrove of the Persian Gulf's island, Iran is a kaleidoscope of natural wonders, offering the best of each season. It's thus an amazing playground for explorers willing to experience outdoor activities, which goes from canoeing to birdwatching, rafting, or trekking, etc. Through centuries, nature and life have been muses for craftspeople who developed some of the best handicrafts in the world. Walking in Shiraz or Isfahan's Bazaars gives a hint of the diversity and grace of Persian's arts, whose greatest ambassadors are the Persian carpets: they are recognized worldwide for their quality and the beauty of their designs. In Iran, carpets aren't just a piece of furniture, it's truly an art which is passed over generations. So are the ancestral techniques of woodcarving, glasswork, embroidery, marquetry and dozens of others traditional and colorful handicrafts. Without forgetting to mention the great poets, writers, and calligraphers, who turned the words into an everlasting art. It would be impossible to talk about Iran without mentioning its food. Once again, Persian cuisine is nothing like you can imagine. Iranian dishes are delicate, sophisticated, colorful and delightful. From roosted eggplants to pomegranate stew, saffron rice, and meat Kebab, the variety of its traditional dishes are endless, each region having its own specialties, cooked with unique seasonal and local ingredients. 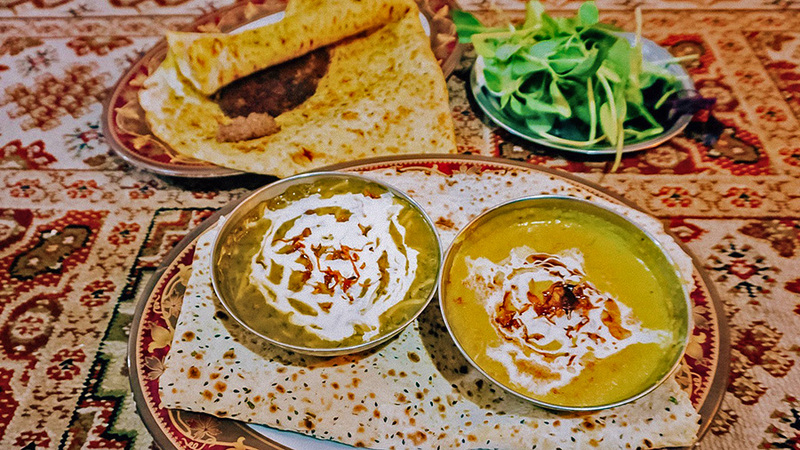 The UNESCO has even given recognition to Rasht, the capital city of the Gilan Province near the Caspian Sea, for its exceptional traditional gastronomy, a combination of ancient recipes and techniques. Iran is a land of contrasts and diversity; a modern country with a vibrant history; a colorful combination of ethnicities with their traditions, cultures, and languages. Words can only fail to describe the wonders it has to offer to the curious and open-minded visitor. The only way is to experience this enchanting journey by yourself.